Brian is a registered massage therapist and a graduate of Sutherland-Chan School and Teaching Clinic in Toronto. He is a member of the College of Massage Therapists of Ontario (CMTO) and the Registered Massage Therapists Association of Ontario (RMTAO). Brian is highly trained in various techniques within the scope of massage therapy, such as therapeutic massage, deep tissue massage, sport massage, trigger point therapy, myofascial release, lymphatic drainage, hydrotherapy, hot stone therapy and rhythmic mobilization. His experience also includes working with seniors and treating patients with pre- and post-natal massage in the high risk obstetrical unit at Sunnybrook Health Sciences Centre. Brian is extremely passionate about providing the highest quality of care to his patients and educating them about their bodies. The health and well-being of his patients are of utmost importance to him. His goal is to work with them to create and implement effective treatment plans that set them on the path to recovery, prevent future injuries, and help them achieve their goals of living a pain-free life. We are very pleased to have him on our team. Book your appointment with Brian today. Outside of the clinic he loves spending time with his son enjoying the outdoors. 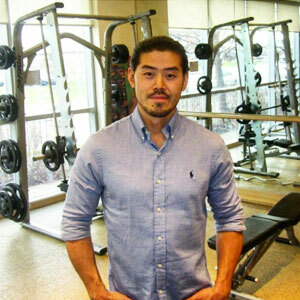 Brian’s hobbies include baseball, yoga, hiking, camping, fishing, and personal fitness. Karen is both a Registered Massage Therapist and a Certified Acupuncturist. 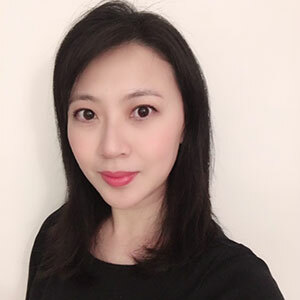 Karen also has a Bachelor’s degree in Medicine from Xi”an University in China which included training in Acupuncture and Traditional Chinese Medicine. 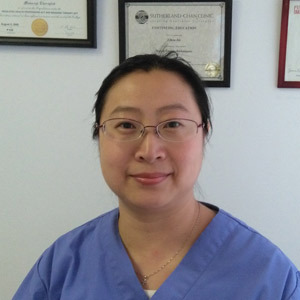 Karen practiced as an Obstetrician/Gynecologist for 8 years in Buoji Remnin Hospital in China before coming to Canada. Karen did her massage training at Wellspring College. Grace has been an active member of the College of Massage Therapists (CMTO) since 2010. Her passion is to help people receive noticeable pain relief through a unique blend of manual therapies that are especially successful with unresolved injuries, aches and pains. Grace specializes in treating frozen shoulders, chronic low back pain, sport massage and working with patients in recovery from motor vehicle accidents. She integrates specific types of massage therapy practices such as Deep Tissue Massage, Swedish Massage, Myofascial Techniques, Craniosacral Therapy, and Hot Stone Massage. Grace is passionate, patient and very caring – qualities that are translated into her treatment of all her patients. Her hobbies include singing and traveling with family and friends. Juliana is a registered massage therapist and a graduate of Bryan College. She is a member of the College of Massage Therapists of Ontario, (CMTO). Juliana is trained in all aspects of massage therapy but specializes in deep tissue and trigger point therapy. She has also practiced sports therapy, prenatal and infant massage. 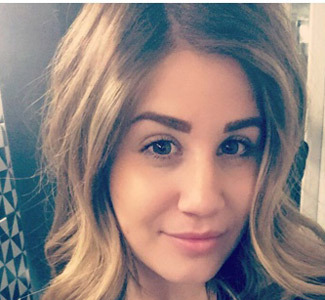 Juliana is very passionate about her career and cares deeply about her client’s well-being and health care journey. Her empathetic nature ensures she is always mindful of the needs of her clients so they have the best possible experience while in her care. Juliana enjoys working out, eating healthy and helping others from what she’s learned while practicing in this field. My name is Ting Ting and I am a licensed Registered Massage Therapist (R.M.T. ), graduating from the Royal Canadian College of Massage Therapy. I have also studied and worked as an aesthetician, with an Esthetic Diploma from the Protégé School of Esthetics and Massage Therapy. I have experience with deep tissue massage, Swedish massage, sports massage, hot stone massage, myo-fascial release and trigger point release. My goal is to provide comfortable, efficient and effective massages so that my clients’ overall stress is reduced and health is improved. I look forward to treating and helping you in the future. 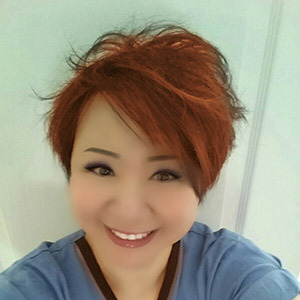 Miao Ting Xiong (Mel) is a licensed Registered Massage Therapist (R.M.T. 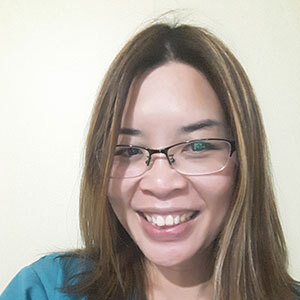 ), graduated with Massage Therapy from the Pharma-Medical Science College of Canada, and has been a Registered Massage a therapist recognized by CMTO. Since starting her career, she has had experience with deep tissue massage, Swedish massage, sports massage, hot stone massage, myo-fascial release, trigger point release, cupping, infants, and pregnancy massage. As a RM.T., Mel’s priority is to help her clients reach their optimum health by providing efficient and effective massage treatments in a safe and comfortable environment. She is client-focused, dedicated to providing quality therapeutic massages, and stresses the importance of educating people on overall health and wellness. Miao ensures that the client is comfortable at all times. She believes that by addressing client needs, you can reduce stress and increase client comfort to help maintain a healthy mind and body. We look forward to getting to know you and assisting you with your health goals. Contact us today to schedule an appointment!